» Forum » Tech » Tools & Supplies » Tumbler Question: Walnut media and ??? » Tumbler Question: Walnut media and ??? Tumbler Question: Walnut media and ??? I'm going to tumble some small metal parts for the Atlantis I'm restoring using the small tumbler from Harbor Freight and some walnut media. Do you add a small amount of liquid to the media and, if so, what do you add and how much? I use a squeeze of Flitz. Works great and doesn't take much. Wonder if a dab of metal polish like Mother's would work? Flitz is a metal polish so it may be just fine. 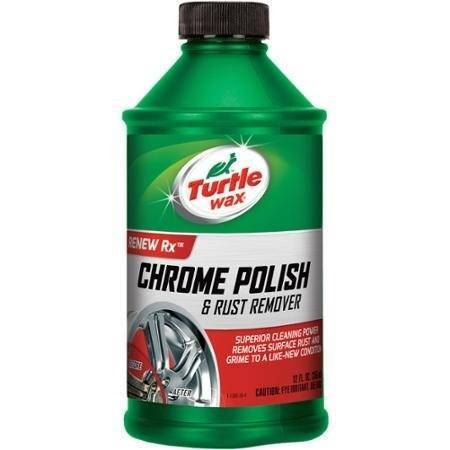 I use mothers liquid metal polish. Others swear by flitz, but mothers is cheaper and seems to work fine for me. From my experience without the use of a media additive the tumbler/walnut media is ineffective. I use Flitz Tumbler/Media Additive which gives good results. 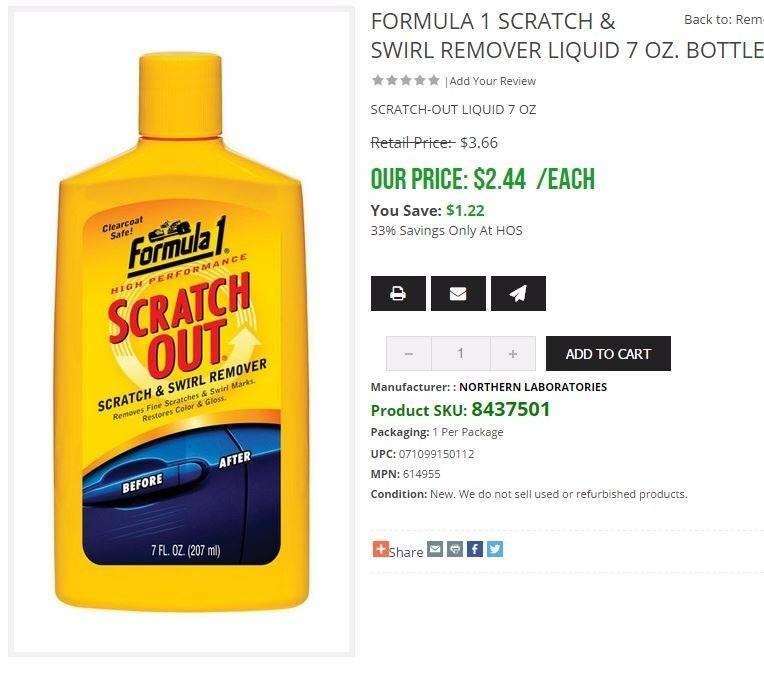 I use 'scratch out'from auto stores. Very good results, available in brick and mortar stores at a price I like. Flitz, KIT Scratch Out, and Novus 2 if I don't have the others. Usually 48 hours tumbling. You are going to get so many recommendations here but I would just use the mothers brand if that is what you have. I have tried out a few different brands and to be honest they all work the same. NuFinish (auto detailing wax) mixed with denatured alcohol to thin it out works great as well. Both are readily available at your local Walmart or similar store. How long does the Flitz last? Do you have to put more in with every load? Seriously not long enough. If you are doing a couple of machines you go through the products quickly. It all adds up, finding a product that you are happy with quality wise at a better price is my goal. How much is a "squeeze"? 1 Tblspoon-ish? Well, I didn't know to add anything so just tumbled for 3 days and most things have come out real shiny. Next time will add Novus 2 and see what the difference is. Novus 3 might do something, but 2 has very little abrasive. Guess I would try metal polish then. Novus 2 is nice to use on cabinets to clean dirt etc off and put a shine on at same time. Keep in mind, by using novus 2, what you're basically doing is sanding down the paint and exposing a fresh layer, not necessarily just cleaning the surface. That is useful to know and explains why it works so well! Novus 2 isn't abrasive enough to sand down paint. Novus 3 would be more likely to do something like that, but 2 is a fine abrasive. You'd really have to work it to remove a layer of paint, and if you did that you'd see it on the cloth. It doesn't really take much, especially with older stenciled cabs where the paint is already pretty thin. Well, I'll just say this. When I do cab repaints, I use a round orbital sander to remove the old design. Generally I'm using 100 grit. It takes quite a bit to get all the paint off. It's not quite so thin that you could remove it with Novus 2. Novus 2 is about a 1200 grit equivalency. Anyone who has ever done any car body work knows that grit that fine isn't going to remove paint. It's used to take out very fine scratches, generally in a clear coat. As I said, if you're removing paint with something, it's going to show on the cloth. I've never seen paint on the cloth using Novus, even on a playfield. It's just not abrasive enough. I used novus 2 on this cabinet to get rid of some black marks. You can see some thin areas in the pink/red areas on the figure, and a blurred area on the top edge of the sword. Granted, this was a little bit of rubbing--not just one pass and done. Shipping is not free, but still cheapest. Curious: How full do you fill the tumbler with the media? If I'm tumbling a handful of screws, for instance, do I just put enough walnut media in to cover them, along with whatever polish I'm using? Or does it need to be almost full? Good question. I am half full currently (running out of good shells) and just put enough bits in that it can still be covered by the shell and it works ok. I fill my tumbler 3/4 full for everything . Also Harbor Freight has the cheapest box of walnut shells with a 20% off coupon it's a good deal. They have fine and course, I use fine . I use walnut shells with red rouge already on the media from the factory. Works great! I disagree. I have used that stuff with the red rouge & it tends to stick to the parts. Have had much better luck with plain fine walnut shells & Turtle wax chrome polish. I disagree. I have used that stuff with the red rouge & it tends to stick to that parts. Have had much better luck with plain fine walnut shells & Turtle wax chrome polish. Yes, makes a giant mess. Never again. -Don't overload your tumbler. Too much media or parts and it will ruin the tumbling action and parts will not clean fast or well. -Replace your media when it gets dirty(black/dark and impacted with garbage). Once your media gets dirty it won't clean well, it is a false economy to keep using dirty media. Clean your parts before you tumble them. Don't put gummed up parts in the tumbler and contaminate your media. Which one should I buy, coarse (12 grit) or fine (24 grit)?